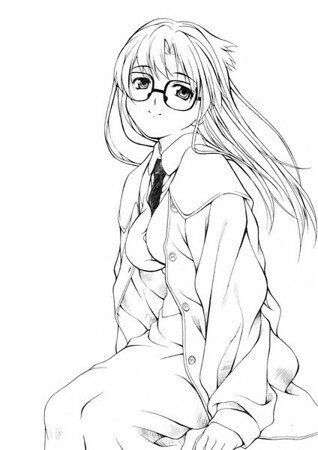 Yumiko Readman, yes I have a thing for girls wearing glasses or meganekko. Jinbocho was more than I could chew off. The whole area does not consist of a stretch of road with bookstores. It consist of 4 freaking city blocks! There are so many second hand book shops that it would take me a week to explore them! 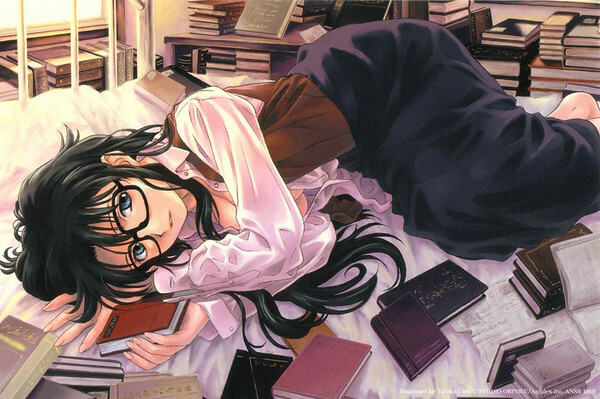 She reads all types of books and even those not in her native language. 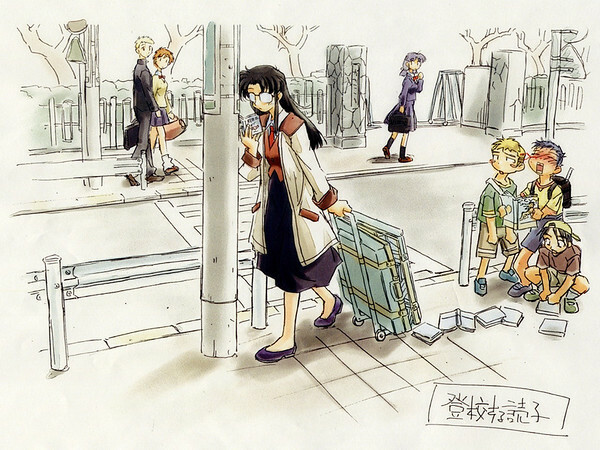 A little background about the place, first brought into international attention by an anime called R.O.D about a bibliophile named Yumiko Readman (Spellman if you’re watching the US version of the anime) AKA “The paper” who loves to read and collect books (That’s her up there). Pity today it was raining and making my life miserable. Exploration time was drastically cut short but managed to find a few shops with the photobooks I want. Some shops sell brand new books while most sell second hand ones. Don’t be fooled by the term “second hand”, they are in good condition while selling sometimes at only 1/3 of the original buying price! Not only just books but also magazines, movie memorabilia and even vinyl records! But I would not recommend this place if you can’t read Japanese. As for me, I’m looking for some photobooks so language doesn’t bother me, still the place has a unique charm about it so if you’re looking for something different, give Jinbocho a visit. Dropped off the 4 rolls of film this morning at Yodobashi and was told to pick them up at 6pm the same day. Pretty sweet! Maybe I shouldn’t have asked them to developed and scanned the Nikko rolls since it takes longer and pricer (3400 yen for just developing 4 rolls of film versus 9000 yen for developing and scanning 2 rolls of film and requiring 1 week’s time). The shots look alright! So wish I have a film scanner and post them up but guess it’ll have to wait till next month. photos and directions to get to jinbocho…? Don’t worry, its on the map. JR lines lead to it as well as Tokyo Metro. Just look for “Jimbocho. Strange thing about the spelling, on the maps it’s call “Jimbocho” but its pronounce “Jinbocho”. The first character of the name is Jin though.